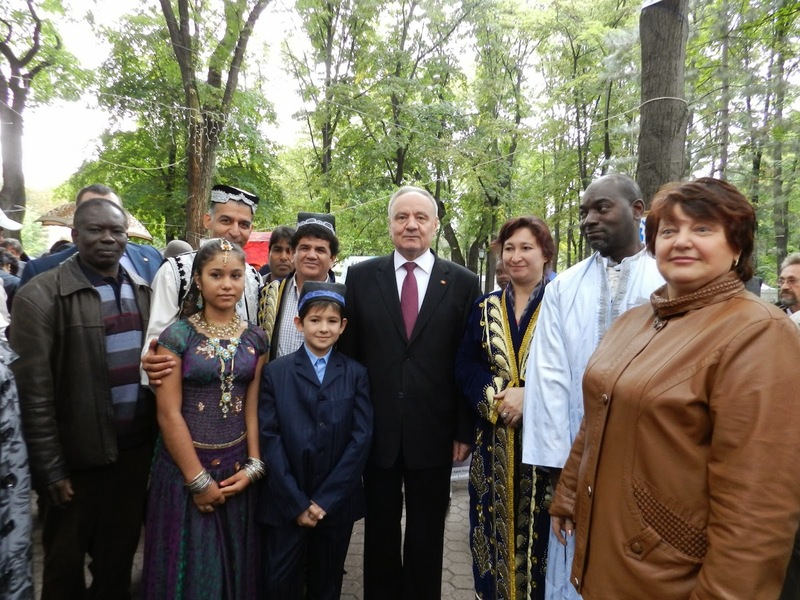 Following the annual tradition, the Festival of Ethnicities has once again been celebrated in Chisinau, on 22nd of September. 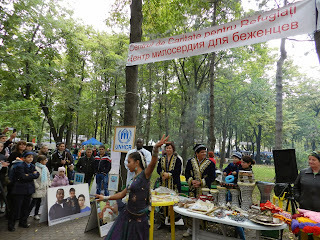 Under its motto “Unity through Diversity” or „Unitate prin diversitate”, it gathered representatives of more than 70 ethnic groups in the “Stefan cel Mare” Central park of the capital, in a colorful cultural event, organized by the Bureau for Interethnic Relations (Government of the Republic of Moldova), with support from the Chisinau Municipality. 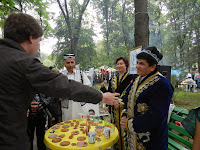 In this festival, each ethnic group had its own booth and introduced their cultures and their cultural wealth. By taking part in this event, the ethnic minorities and communities revealed that they belong to the Moldovan society the same was as they feel attached to their cultural specificity. 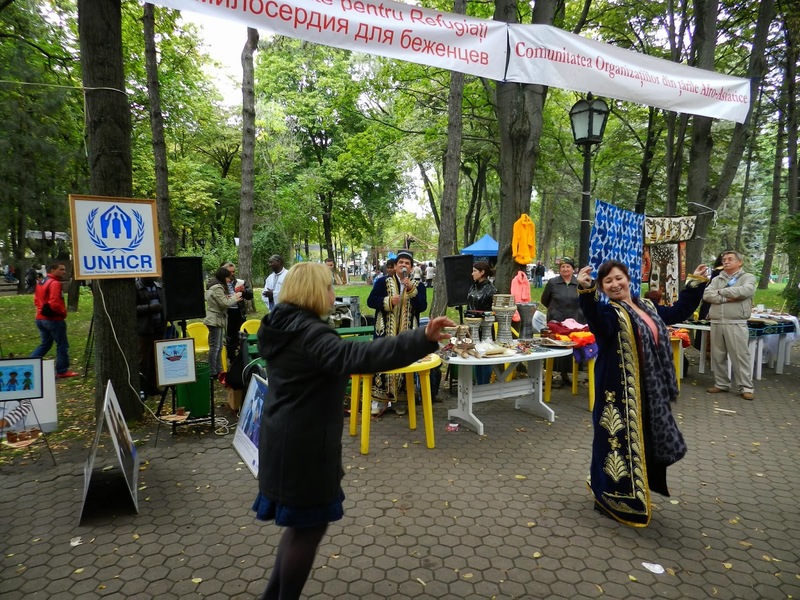 This year’s festival marks the 10 year anniversary of Charity Centre for Refugees (CCR) – UNHCR implementing partner’s participation in this event, while the festival itself was at its XIII edition. Its booth offered a great opportunity to inform its visitors about CCR activities, as well as to raise awareness about hardships refugees are daily facing and their successful integration in Moldova. 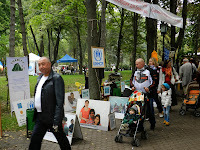 The latter motif was represented by means of a photo exhibition entitled “Integration of refugees in the Republic of Moldova”, which got attention of many passers-by. 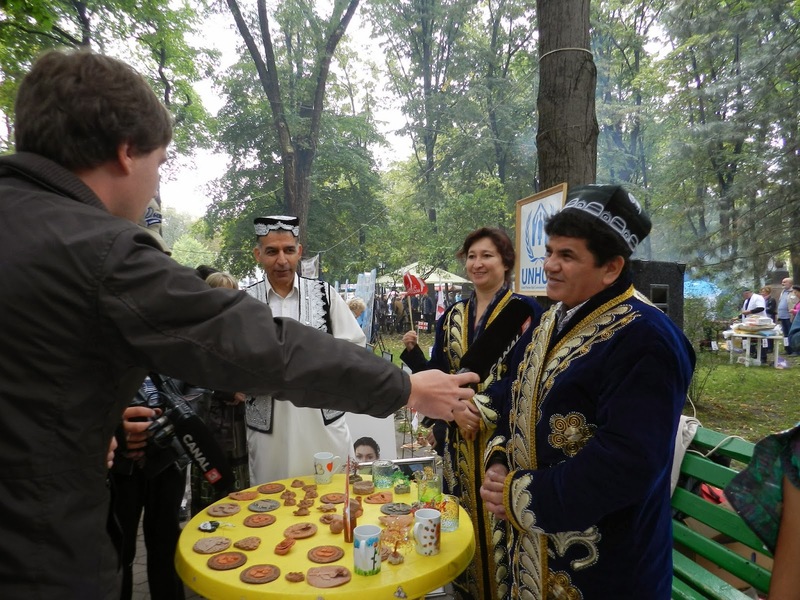 On the other hand, this festival also gave an opportunity to refugees and asylum seekers to participate and show their cultural roots to the Moldovan society, by using traditional costumes of Central Asia and African countries and not only. 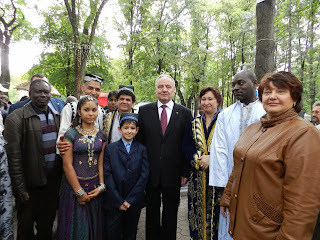 Some of them performed various songs in Uzbek language and danced, instantly drawing other people to join them. As last year, Ms. Alvina Khan embellished the event by performing some Indian dances, which keep her connected to the cultural legacy of her father’s homeland. 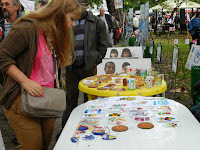 Apart from that, numerous paintings of refugees, potteries, handcrafts and clothes made by refugees, as well as souvenirs and cultural objects from Egypt were exhibited at the CCR booth. 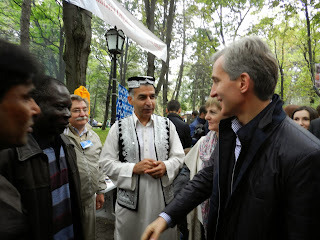 Thousands of people and many notorious personalities had visited our booth and were interested in our exhibition and products, among whom were the President of the Republic of Moldova, Mr. Nicolae Timofti, the Prime Minister of Moldova’s Government, Mr. Iurie Leanca, representatives of Chisinau City Hall and the Bureau of Interethnic Relations, and others. On this occasion, CCR availed itself the opportunity of informing the visitors about its activities and, especially, to lobby the interests of refugees and asylum seekers on different levels. 10-year-long fruitful collaboration of CCR with the Bureau for Interethnic Relations has enriched both parties and especially the festival. We hope that a wide and deep knowledge of the local population and the central authorities about a refugee’s situation can help refugees in rebuilding their lives in Moldova, which is why CCR will keep participating in this wonderful festival and other similar events.